There have been emotional reunions at a refugee camp east of Mosul, as families fleeing ISIL militants come together with their relatives. Some have not seen one another for more than two years. Men, women and children were seen hugging and kissing at the Khazer camp. “Daesh claim that they know Islam. And in Islam, it is important to keep family connections,” said one woman who has been displaced. The UN says at least 22,000 people have been displaced since the start of the Mosul offensive. That offensive has seen Iraqi troops battling on Saturday for the last town between them and ISIL’s stronghold. 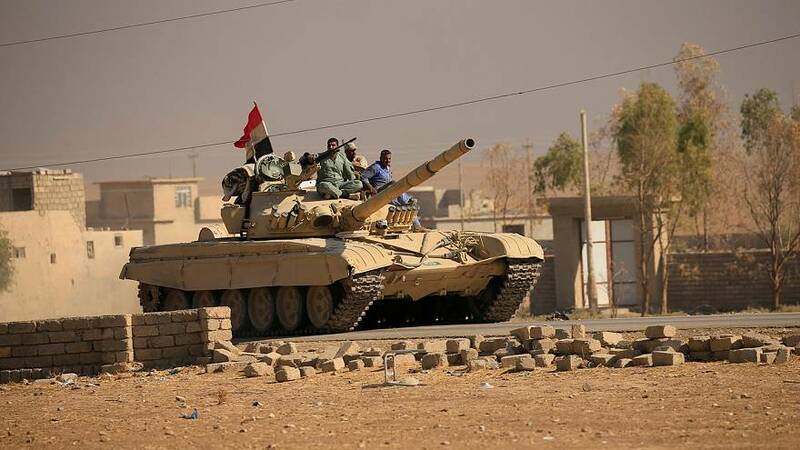 The attack on Hammam al-Alil, about 15 kilometres south of Mosul, is said to have targeted a force of at least 70 militant fighters. ISIL has reportedly taken hundreds of people as human shields in the town. Retreating fighters are also said to have forced thousands to march with them as cover from air strikes. Mosul itself has already come under assault from special forces fighting inside the city’s eastern districts. Recapturing Mosul would effectively crush the Iraqi half of a self-proclaimed caliphate, declared by ISIL leader Abu Bakr al-Baghdadi.